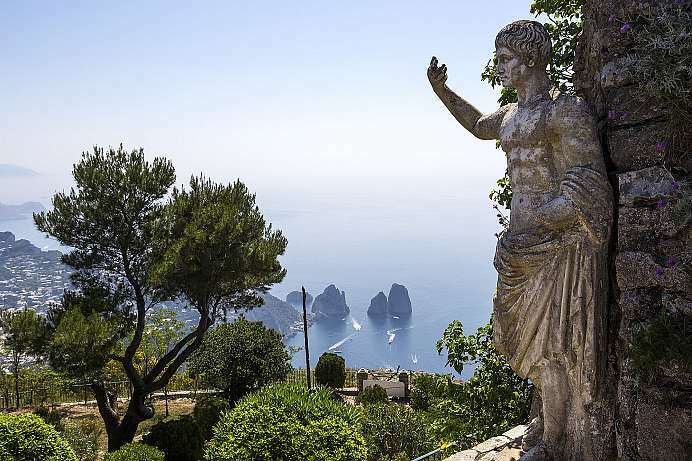 The 6 km long and 2.6 km wide island in the Gulf of Naples is one of the oldest vacation paradises on earth: Roman emperors Augustus and Tiberius vacationed there, as have numerous notables and celebrities ever since. The green island with its rocky cliffs and blue waters is considered one of the most beautiful destinations in the Mediterranean Sea. Although the area has seen many changes since the mid 19th century to accommodate mass tourism, it is still definitely worth a visit. From the city of the same name scenic walks can be taken among the cliffs and landscapes of “old” Capri. This world-famous cave can only be accessed through a man-sized opening in the sea cliff. The cave is about 50 meters long and 30 meters wide. The water inside is 15 meters deep. Its mystical blue hue is caused by the fact that most of the sunlight reaching the cave enters through the water. In ancient times, the cave was used as a nymphaeum – a natural holy site. 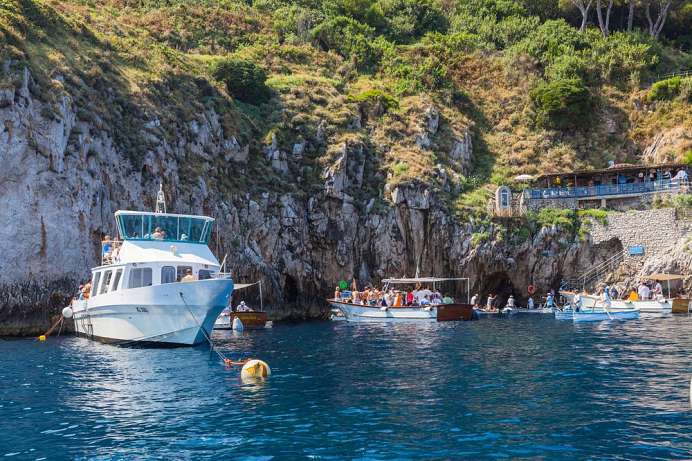 Gondoliers wait with their boats near the entrance in order to ferry visitors to the cave. You may have to wait a while depending on the number of visitors. A trail to the waiting area features an ancient 500-step stairway made by the Phoneticians. From the top, you can enjoy a magnificent view. 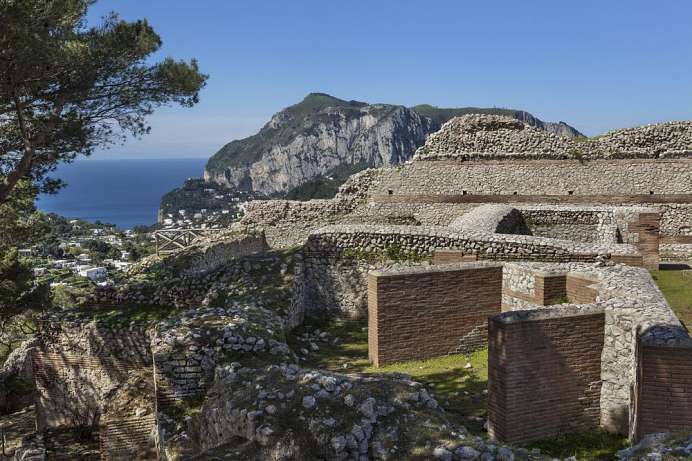 At 291 meters above sea level, this mountain in the southwestern part of Capri is the tallest one on the island. Standing on its summit, you will tower of the island as well as the entire Gulf of Naples and Salerno. After this mountaintop experience, you can follow a ridge down to the ocean. The trail is skirted by cliffs where seabirds nest. (4:30 hrs, 9.6 km, elevation change: 750 m).